Become the lord of your castle: gather vital resources and shore up your defenses. Raid monster encampments, fight epic battles against your adversaries with a wide variety of units. 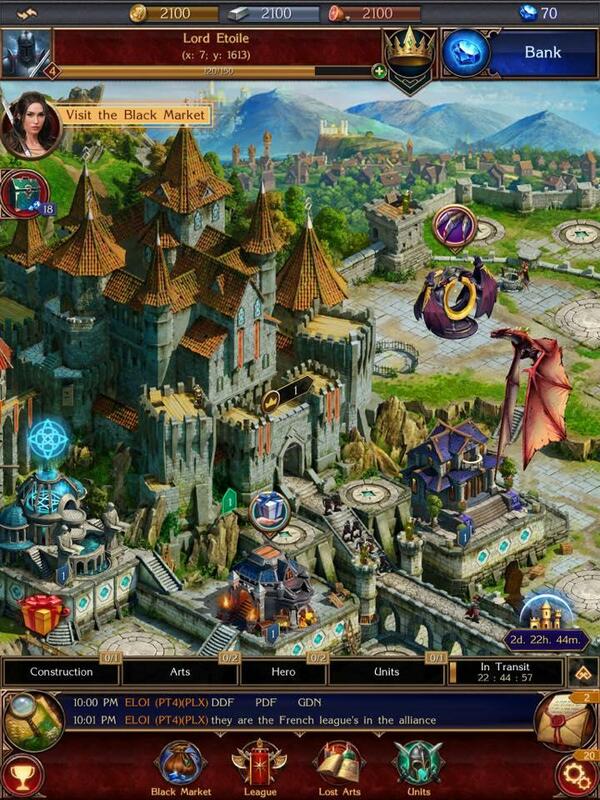 Raise the strongest army and go to war with your dragons to become the most powerful lord of the realm. 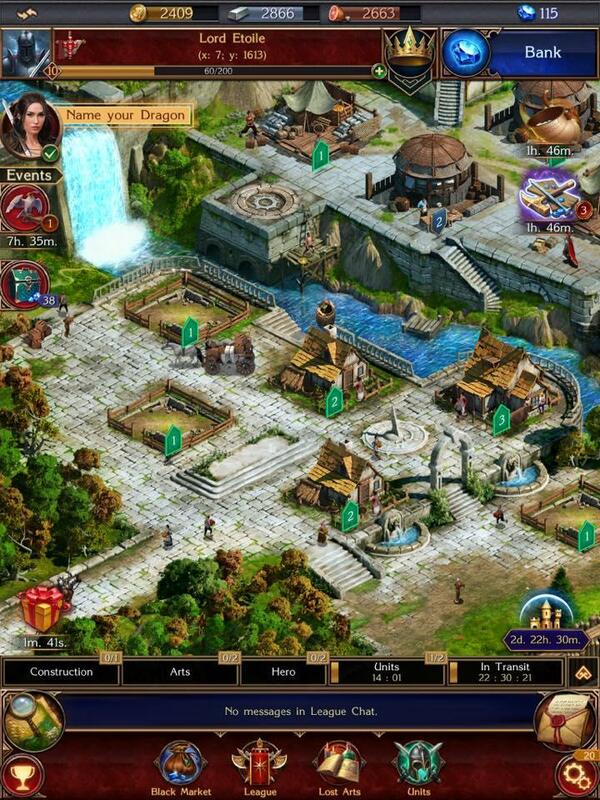 Stormfall: Rise of Balur, may come across as another freemium real-time strategy game. However, it’s not just an ordinary RTS game if you put it into perspective. Rather, it’s one of the best games in the entire genre. It provides a more immersive experience than other strategy games and once you dive into the world of the fallen empire of Stormfall, it will seem like you won’t be able to get out of it. 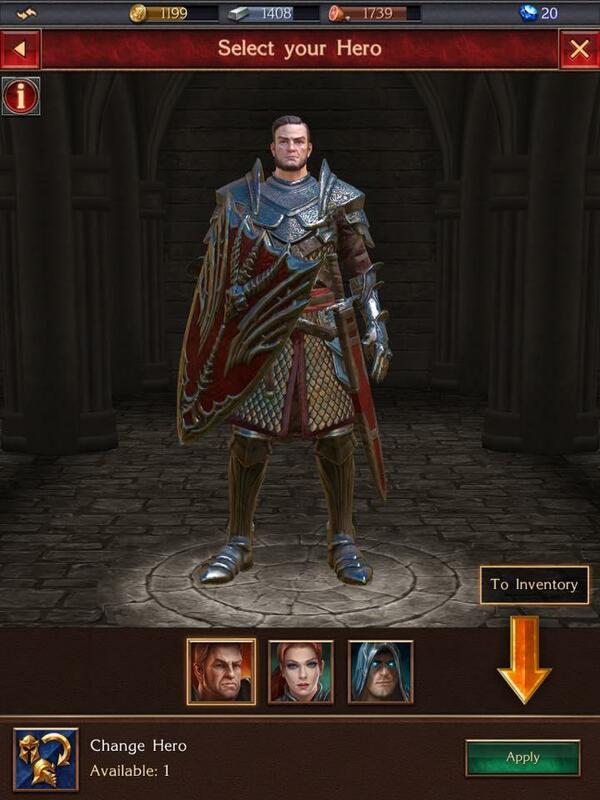 In the game, you play as a warlord with his own holdings. Right off the bat, you will be placed in an area where a number of players reside - from there, they will either become your allies or your worst adversaries. You will be competing for resources, and the strongest lord of all will definitely be able to raise an army to raze and conquer his neighbors. Apart from your human opponents, you will need to counter the forces of evil, led by Balur. Stormfall: Rise of Balur, isn’t a simple game by any means - it is pretty complicated, so you will have to learn its many intricacies if you hope to go far. Fortunately, it does a pretty good job in the tutorial aspect. Helping you learn the ropes is the warrior woman, Amelia, who is played by the stunning Megan Fox. You will learn how to make buildings, train units, attack nearby settlements, and other important tasks. The game is centered around raising an army, both comprised of human and non-human entities. Apart from knights and pikemen, you will be able to recruit and train monsters such as golems, dwarves, elven archers, and even an all-powerful dragon, a unit which as powerful offensive capabilities. Additionally, in the early stages of the game, you will be able to choose and name your hero: a swordsman clad in armor, a mage, or a lady warrior. Take note that your hero’s name will also be your settlement’s name. There are two types of units: defensive units and offensive-oriented ones. Both can participate in attacks and in defending your castle, but the game suggests hiding your offensive units in your catacombs case of attacks, and letting your defensive units stay in your castle when you’re off to go raiding other settlements. Offensive-oriented units can go attack other players’ settlements and raid Balur’s holdings, while defensive ones defend your castle and reinforce other holdings. Winning battles, completing quests, and repelling attacks will enable you to receive rewards and gain experience. To build a formidable army, you have to gather resources (gold, iron, and food) to recruit and maintain them. Stormfall: Rise of Balur is a freemium game, so the game does dish out its fair share of in-app messages urging you to purchase sapphires, its in-game currency. There are features and units you can only purchase with sapphires, but regardless, the game is still playable and enjoyable despite this. Should you play Stormfall: Rise of Balur? Yes, we highly recommend it. The game is highly enjoyable, thanks to its immersive gameplay, beautiful art and graphics. It is a magnificent game with countless features you can spend hours in. Play it and you will certainly enjoy the entire experience.